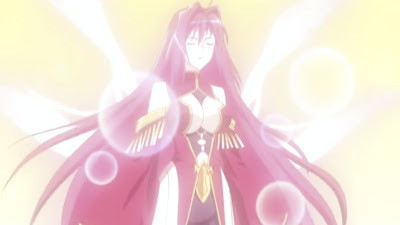 I Blog Anime: Shinkyoku Soukai Polyphonica Crimson S: She's Back! Shinkyoku Soukai Polyphonica Crimson S: She's Back! After 8 long episodes' wait, the Crimson Annihilate finally made her first appearance in this series. Throughout the first series, I was always more fond of the Crimson Annihilate than Corti because the Crimson Annihilate just seems to be much nicer and calmer than Corti. I wonder whether they're going to explain why pre-transformation and post-transformation of the same spirit would have such a big difference in personality.